Below is the brief history and achievements of the Assemblies Of God Lagos District. The Assemblies Of God Lagos District was carved out of the former Western District of Assemlies Of God Nig www.agnigeria.org on October 20, 1984.The first District Superintendent of the Lagos District was Rev J.A Emezie, and the Second and present District Superintendent is Rev I.M. Mpamaugo. v The District has given birth to two other Districts, namely Apapa & Ikorodu District, and has also established a secondary school (Evangel College, Okokomaiko). 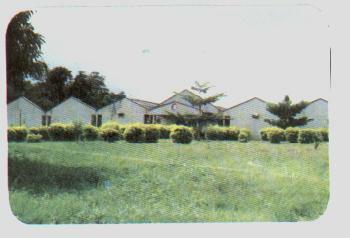 v It established the first Assemblies Of God Camp, named The Assemblies Of God Youth Camp, km 48 Lagos-Ibadan expressway. v From 54 churches in 1984, it rose to 250 churches. In 1997 when it gave birth to Apapa & Ikorodu District, it was left with about 100 churches, but today the churches are 155 in number.